Christmas is coming! My boys are young enough to still believe in Santa. The other day they got a postcard in the mail from Santa and they were so happy. The postcard reminded them to be good and gave them a list of things to do to be on Santa's Nice List. 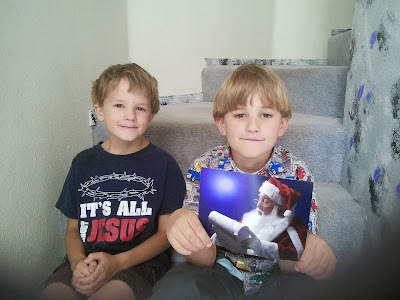 I love that Santa is the motivator, during this time of year, for my boys good behavior. My boys know Santa is watching them and they are trying their hardest to be good. When I woke up this morning, my boys had made their beds. I was thrilled as I have never expected them to make their beds. I praised the boys for making their beds and then wished that my bed was made. My boys then made my bed. Later that day, they even folded the clothes without a fight. It was awesome that all this good behavior came from a postcard from Santa. You too can send your child a personalized postcard from Santa, reminding them now what they have to do to be on the Nice List. Let Santa be the Motivator! Order Today and watch your child try SUPER hard to be good! You will be able to personalize your card. You can choose from two different pictures and include 5 motivators from a check list. The post card will arrive in 5-7 days. This postcard is great to send to your kids, grandchildren, and any other special kids in your life. Your kids will be thrilled to get a letter from Santa and you will love the good behavior that the postcard brings to your children. 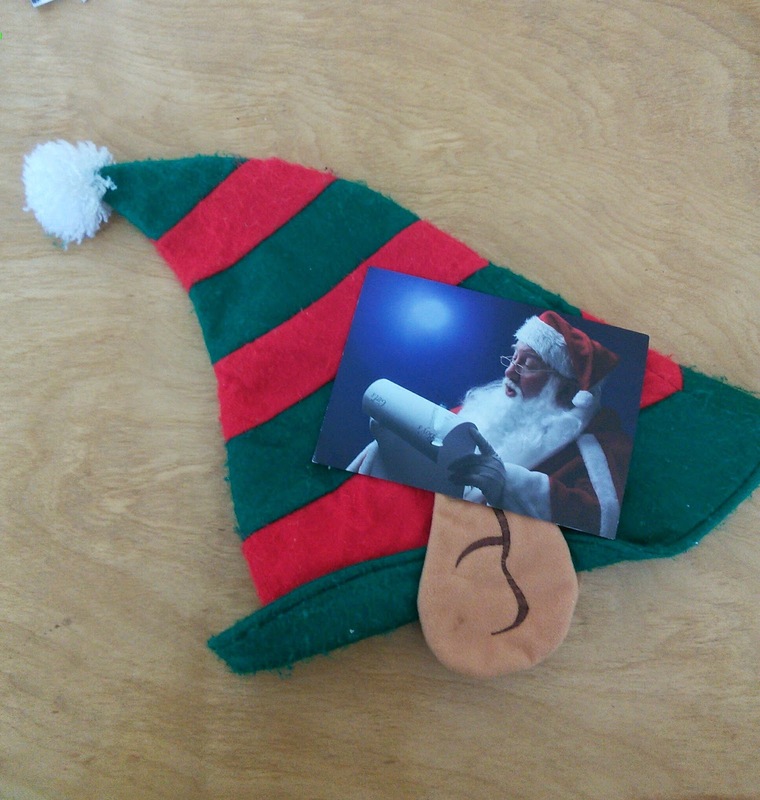 I have a coupon code for 15% of a postcard, just use code pcSantaTP when you order the card. 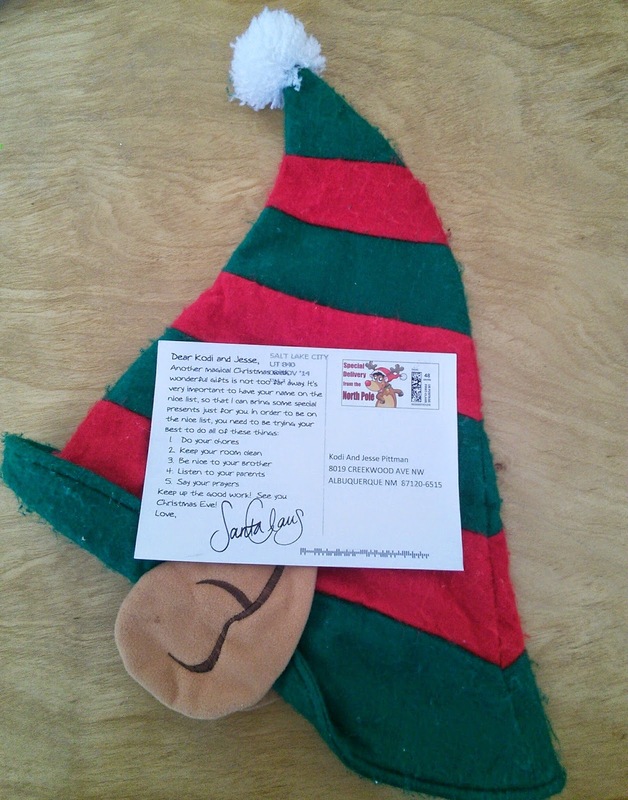 To order a Santa postcard, click on the below link. This site also offers many other items from Santa like books and packages. So go have a look. I have a Santa postcard to giveaway to one of my readers. You will receive a code so you can personalize the card for your child. Just enter on the Rafflecopter form below and good luck! This prize is worth $5.95 and makes a great gift. Cute postcard ! I did this same thing for my goddaughter ! Love this idea! Hope that I win. My girls would be so excited! Oh and I think that presents are always a good motivator to get kiddos to behave! I wish Santa could get my boys to start listening...that would be awesome. This is a great idea for kids who love Santa! I love those postcards. What kids who loves Santa wouldn't be THRILLED to get one??? OMG My oldest would just flip out over getting this in the mail. This is a super cute idea. My youngest has his list made and it's a mile long already. He is 3. It's cute. Oh I think that this would be so neat to send Carter! His great motivator would be his Vtech Kidizoom Smartwatch he really wants! I would have Santa ask him to be good and listen to mommy and daddy! i would have santa to ask my youngest to stop arguing with everyone when he is told to do something or not do something his motivation would be he wants TMNT items for christmas this year thanks for this chance best of luck to everyone!! I would like Santa to talk to my son about not arguing about doing school work. I'd like Santa to talk about doing what's right and how it leads to happiness.